Comment: I would like to get an estimate for replacing our gutters after the hurricane. I won't be there but please call with estimate. Comment: I would like to get an estimate for metal gutters, early 60s home. Only the front of the deck. Wanting to start project next month. Comment: storm damaged our gutters around front deck, need quote for seamless gutters? Carolina Beach Gutter Cleaning & Repair Services are rated 4.80 out of 5 based on 282 reviews of 6 pros. 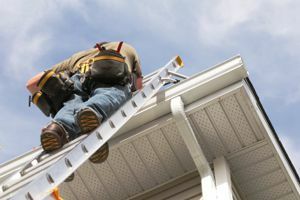 Not Looking for Gutters Contractors in Carolina Beach, NC?